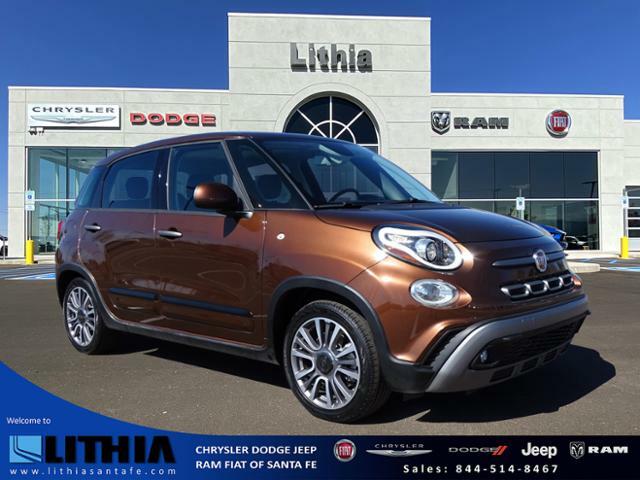 We've let the seller know that you'd like to talk about this 2017 FIAT 500L Pop. You should hear back from them soon. CARFAX One-Owner. Clean CARFAX. White Fiat 500L Pop FWD 6-Speed Aisin F21-250 HD Auto 1.4L I4 16V MultiAir Turbocharged#1 Ford Certified Pre-Owned Dealer in Nevada. 30/22 Highway/City MPGCome on down and see us here at Ford Country!!!!!!!!! !Reviews: * Plenty of passenger room and cargo space for a small hatchback; optional touchscreen interface is attractive and easy to use; good outward visibility. Source: Edmunds Please ask for the e-Business Services department for additional incentives or special offers that may apply to this vehicle. This Pre-Owned FIAT 500L is offered for sale by Ford Country, a dealership located at 280 N GIBSON ROAD, Henderson, NV. Hi, I'm interested in your 2017 FIAT 500L listed for $16995. Can you please let me know if it's still available? Thanks!